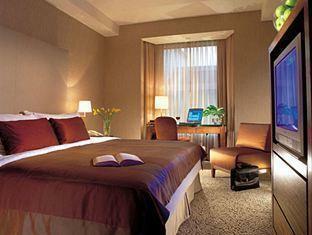 Stop at Traders Hotel – Singapore to discover the wonders of Singapore. The hotel offers a wide range of amenities and perks to ensure you have a great time. Safety deposit boxes, shuttle service, executive floor, dry cleaning, facilities for disabled guests are just some of the facilities on offer. Relax in your comfortable guestroom, featuring executive lounge access, television LCD/plasma screen, air conditioning, desk, coffee/tea maker. Recuperate from a full day of sightseeing in the comfort of your room or take advantage of the hotel’s recreational facilities, including steamroom, massage, spa, hot tub, sauna. No matter what your reasons are for visiting Singapore, Traders Hotel – Singapore will make you feel instantly at home.